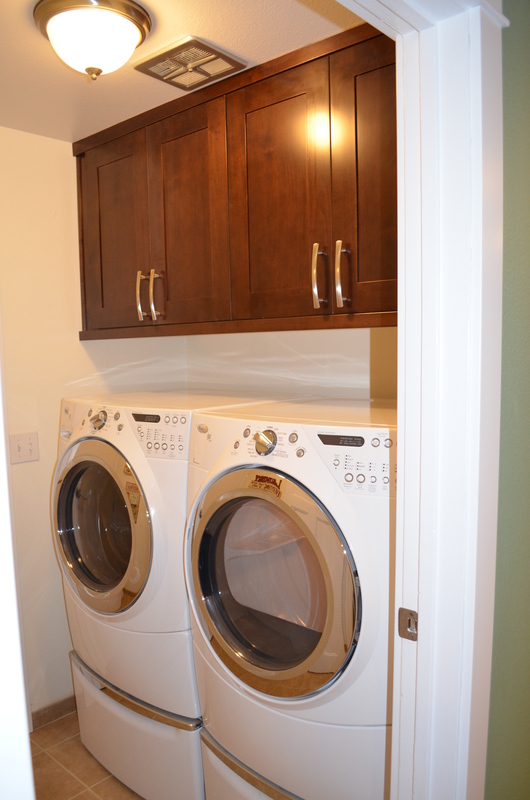 This client was in need of storage space for their laundry room. Previously there were wire racks above the deep washer and dryer that were impossible to use and unsightly. Now with deeper cabinets they can get to the items they need and those items are out of site.